"Customer Service puts Donor Search over the top! " I had fabulous customer service experiences with Donor Search. Alexei , director of new sales and Ahmed, sales & relationship development manager were so fabulous to work with. No question was too small; they were polite but personable, friendly and professional. The sales and customer service reps that I worked with at other competitor companies were never as communicative, transparent, or quick to respond as Donor Search. We are just starting to use this product, but so far I have loved how intuitive it is, and how extensive the findings - particularly a donor's philanthropic history! If you're working with a big donor, the profile might be many many pages long. That's not a dislike so much as something to keep in mind; I know I'll need to curate the profiles a little more for certian people to keep the length managable. Ask for a demo. I didn't really understand why everyone was so excited about the product until I saw it for myself - and it was helpful when comparing products to really have a fundamental knowledge of how the product works. Donor Search is providing us with a more holistic, comprehensive history of our donors, with an emphasis on providing insights to other charitable causes they support. Honestly, aside from the fact that the product looks great and works great, the staff is amazing. They are responsive, helpful, and are always asking how they can improve and make the experience better. It's the main reason I will always recommend DonorSearch. There are some elements that need to be scrutinized by our staff to make sure the information is valid, but that has been the same no matter what other wealth screening I've ever used. Take full advantage of the customer service that is offered. They will call and check up on you, and taking the time to talk with them makes the experience so much better. Everyone I've ever worked with at DonorSearch is constantly trying to improve and make their customers feel valued. We have been using DonorSearch for 4 years and are at 75% of our capital campaign goal. The main use we have for it is just being better informed about individuals, foundations, and corporations before we meet with them to talk about giving to our organization. It is immensely helpful in not only seeing their likelihood of giving, but also where they are putting their support, which helps us find ties back to us. "Donor Search started with a mission to serve non-profits and they succeeded." I have been using Donor Search since their initial call to me to ask if I was interested back in 2007. I made a point to get to know the founder and family and staff through conference attendance and their outstanding customer service. Everyone I work with guides with a knowledgeable hand and they know what my work entails as a researcher and what other fundraisers' work needs. Great customer service. Great product. Through the years, DonorSearch has made an effort to create a user-friendly interface. Prior confabs were difficult, but as technology allowed, DonorSearch has evolved to a very user-friendly interface for fundraisers and for the more rabbit-hole people - me, researchers. The tool is always getting better and it makes my research much easier to expand with profile info they provide. Good research is not a one-stop website. Give DonorSearch a demo. The same service you get in the demo is the same service you get with a subscription. We have a small and dedicated staff with a full plate each day. Being able to run a wealth screening, see the data analysis and a full profile (updated as needed) is essential for our coming campaign. "If you're looking to turbocharge your research shop, DonorSearch will help! " The customer service is phenomenal, they all know me on a first name basis which is much appreciated. DonorSearch takes the pain out of screening. Simple and easy to use UX as well as intuitive screening results to help you make intelligent decisions on who to cultivate. I have personally used DonorSearch in the higher education and health care industries and the ease of use made my job much easier. My experience with DonorSearch and their team has been nothing but professional and exceeded all expectations. There are maybe a few tweaks that can be made to the overall product but honestly nothing I can think of right now. I know I have made recommendations directly to the team and one of them was even implemented soon after. Give Sarah Tedesco a call, she is a pleasure to work with. We are using DonorSearch to help determine the signal from the noise. Larger universities have just too many names in their database for the research team to efficiently data mine on their own. DonorSearch has saved us countless hours. DonorSearch adds the first layer of research and helps us best focus on a much smaller and more manageable chunk of names. Our Prospect Research shop has definitely become more sophisticated with the help of DonorSearch. "DonorSearch remains the best in its class"
The quality and visible growth of the product and its capabilities. DS listens to client feedback and makes constant upgrades and data additions to the system. I regularly evaluate the competitors - Wealth Engine, iWave, WealthX, etc., and DonorSearch consistently comes out on top. They are the best at figuring likelihood for philanthropy and business, rather than basic estimated wealth based on real estate. Their RFM score is so helpful. I rely heavily on their database. Client services is also EXCELLENT - you always talk to/email with a real person, and receive responses right away. It's impossible to have ALL the data in there, but they really aim to update the database with new records on a constant basis. DS is the only platform that uses wealth AND philanthropic and political contribution data to predict giving capacity and likelihood, and always provides a score for each. Do a demo and let the product speak for itself. DonorSearch helps our organization uncover and qualify individual prospects for charitable contributions. Donor Search tools are easy to access and there is a very short learning curve. Comprehensive data can be obtained in multiple formats to supplement your organization's data so it can be applied to every resource development question. Customer service and training is top notch: the response time is quick and DS staff are available to tailor training to the customer's needs. I have used Donor Search tools regularly for the past four years and there is absolutely nothing to dislike. we have been able to prioritize outreach to existing donors with the significant giving potential and are applying the screening data to efforts to engage new prospects. We have found some inconsistencies with the ratings from our current donor base. Our donors love us and based on that loyalty received a higher score, but in fact it wasn't truly tied into the ability to give in the giving world. Also we still have yet to determine how to update the original data to monthly data updates if the donor changes addresses or we had a spouse or if they passed away. We are trying to use there platform to do modeling and to strategically mail smarter. If we know a donor appeals to education, we can then target an education package to that donor. I've used DonorSearch for almost four years to help different organizations run successful capital campaigns. The ability to search and find information on individuals makes it easier to formulate an accurate ask of an individual. Sometimes there is not enough information gathered on an individual but that is not the fault of DonorSearch. Run don't walk to DonorSearch. It is the tool you need in any fundraising department or role. It is absolutely necessary to do wealth screenings on your prospects and DonorSearch gives you that freedom without any limits. Not only can you run wealth scans on individuals - receiving feedback such as home value, business value, gift history to other organizations, etc. - but you can also search for individuals who give to similar causes in a specific area, which helps to identify potential new donors. Running capital campaigns requires deeper knowledge of an organizations donor base. I used DonorSearch for two primary things: (1) Run wealth scans on an organization's already existing donor base and (2) To search for like minded donors in an organizations area or specialty. DonorSearch provided me and the organizations I worked with raise over $20 million dollars in the last four years. DonorSearch consistently provides our clients with the data they need to make choices about their donors and prospects. From deciding who to spend time cultivating and understanding what drives their prospect's philanthropy, DonorSearch makes the process much more efficient and effective. Also their customer service is phenomenal. Whether it's a long-term client who has a new staff person that needs DS training or a potential client that wants to know more, Andy is always there to provide a demo or answer questions. Depending on the prospect/donor's name, we've found challenges finding the right person in the database (or finding the right gifts associated with that person). This is more a nature of the data than DS, so mostly an issue with wealth screening in general. Our consulting clients are mostly mid-sized nonprofits (budgets up to $10M) that often have not used wealth screens (or if they have they don't use them consistently). Together with Donor Search, we've shown them the ease of using the screening tools on a regular basis to make key decisions on staff resources and donor engagement. "The BEST Colleagues a Consultant Can Ask For"
As a consultant who always tells clients that their existing donors are their best prospects, DonorSearch is an invaluable partner in backing that claim up with data! They don't have to believe me. All they have to do is look at the easy-to-understand information DonorSearch provides and build strategies based on that. This data is an invaluable tool when working with staff and volunteers to determine who we should be talking to and what we should be asking them for. I don't dislike anything. I was a longtime screening cynic becasue most screening companies want you to believe that their data is all you need. DonorSearch doesn't have that attitude. They think of their product as a tool to help you do your job better. I'm a convert because of them, so there is nothing I dislike about my experiences with them. The best way to maximize DonorSearch is to build strong relationships with the team. They are accessible, knowledgeable, and always happy to get you what you need. I use DonorSearch data to help raise clients' sights about what their supporters could be giving. The philanthropic information helps them realize that their supporters have other priorities and may be giving to those at higher levels. The suggested gift amounts help create comfort among volunteers who may be hesitant to solicit major gifts. Every time, this data confirms the strategies we are suggesting and does so in an objective way. It's hard to argue with the numbers. "Great Wealth Screening and Research Tool"
The information provided is excellent and very helpful to our development team. The batch screening analysis and overviews provided are great tools for prospecting and strategizing when used properly. The customer support is also among the best I ever experienced. Some of the information provided will be marked as non-matches due to not being in the same state or area as the donors state. While this requires some extra user verification, this is common in all wealth screening platforms. I would recommend contacting them and requesting a demo or trial so that you can experience both the product and service for yourself. We are using DonorSearch to identify new major gift prospects within our constituent base as well as screening current major donors to see if there is more giving capacity with those already engaged at that level. In doing this, we have seen a 20% YOY growth in major individual giving. "Excellent service for large university"
Their unlimited screenings option is perfect when you have a hospital system and need to implement frequent grateful patient screenings. They also offer subaccounts, which means our Advancement Strategy team can own the master account, which does screenings, but also offer subaccounts to our campus partners to enable them to do a lot of their own research (especially for initial qualifications) using an intuitive, comprehensive tool. We've tested DonorSearch's algorithms for calculating wealth capacities and finding the most assets automatically (including some trusts and LLCs that may own assets associated with prospects) to be the most accurate and comprehensive of automated vendors. Right now they have two profile options: legacy view and advanced view. The advanced view is tailored for organizations who import most of their data into DonorSearch; they don't add value and are confusing when your organization does not load most of it's data into DonorSearch and uses it's own CRM. I'd guess that they're moving in the direction of wanting to serve as a CRM, which would probably be very helpful for smaller orgs, but for a system like ours it doesn't make sense. As long as we've got legacy view, which focuses far less on any imported data through the screening process and more on what DonorSearch could find, it will serve our needs. DonorSearch has an excellent algorithm for calculated estimated wealth capacity and for gathering data on outside giving, philanthropic involvement, and assets in the public record. They also provide excellent screening services. "I think its the best product of its kind on the market. And I've checked!" I've been using DonorSearch since it was founded. Every year I check out all the products available for prospect research and I've run several head-to-head comparisons where I'll screen 50 or so names in both products and I always wind up back with DonorSearch. DonorSearch constantly has the most current information. I've stopped paying for other sources, especially gift sources because I find more information with DonorSearch than with other prospect research products. As a researcher with more than 25 years experience, I've researched thousands of major gift donors and screened tens of thousands of records for a variety of organizations, and I could not do it without DonorSearch. They are my first stop for major donor information. DonorSearch is always adding new ways to search, and it is clear they really work hard to keep up with their competitors. Occasionally there are glitches with the software, but the customer service team, especially Ruth Robertson, have always come to my rescue. Also, someday AI will get so good I won't need to validate results, but it isn't now. The best way to chose a screening product is to as companies to screen a sample batch. If you use the same names, you'll see which product will work best for you. Before starting a screening with any organization, make a plan for using your results! In donor research, you live by the accuracy of the information provided. DonorSearch provides accurate information in a timely manner. DonorSearch has also helped with my smaller clients. They are always available for training and explanation even when I only screen 100 people for a tiny nonprofit. The best thing DonorSearch does is it allows my clients them to raise more money by providing the information that helps organizations ask for the right amount of money, at the right time, from the individuals they know. I've started using some of DonorSearch's newer tools for prospect identification, and my clients have been amazed at the results. DonorSearch is an excellent resource providing accurate, reliable research data for nonprofit organizations. I've had the pleasure of working with DonorSearch with a number of my nonprofit clients and each one has been consistently impressed with the quality of the information, as well as its usefulness. I highly recommend DonorSearch over other wealth screening services. I would unequivocally recommend DonorSearch to anyone looking for a high quality, accurate prospect research tool. As a database consultant and prospect researcher, when I work with clients they are often looking to ascertain who their best major gift prospects are. DonorSearch data helps identify these individuals and also helps organizations make thoughtful choices about how to manage their annual fund donors. If you want to really know and understand your donor base, there is no better tool than DonorSearch. "Much better than Wealth Engine!" I love the quality score provided by Donor Search, as well as the ability to add a gift if it's not showing. Also the target ask based on wealth and target ask based on past giving is very useful! For gifts made to national non profits, Donor Search will often mark those gifts as low quality or low match because they are sometimes out of state. DonorSearch screens for philanthropy first, and then wealth, which generates better results for inclination and capacity. We found that by switching to Donor Search from Wealth Engine, we are getting more accurate results for charitable giving, and are able to uncheck those gifts NOT associated with the prospect to continue to get better data. Customer service is top notch. I've never had a problem we couldn't figure out together. The cost of the tool is affordable and new features are being added all the time. It saves an immense amount of time for our donor relations managers. The Salesforce API is a good option for those implementing the DRM/CRM platform. Send a batch sample of $500-$2500 donors instead of $2500+ if you are evaluating existing contributors. the amount of time needed to qualify a prospect is now a fraction of what it was. Our MGM are better able to focus on building relationships rather than hunting information and qualifying leads. The amount of information contained in a DonorSearch report would take hours to acquire manually. "Streamlined Power at Your Fingertips"
As a single-handed major and planned gifts professional who triples as head researcher for the organization, getting clarity on our constituents philanthropic priorities, business connections and asset assessment can be time consuming. DonorSearch is my daily go-to for establishing who needs to be brought closer to the organization. The only and I mean only thing that is a pain is not being able to save home values, especially when DonorSearch does not generate a number. Also, if I know they own a property but it is held in trust, I cannot connect that property as an asset. While an annoyance, it is a small matter and does little to dissuade me that DonorSearch is a top class product. DonorSearch is a robust, easy to navigate tool that delivers immediate, deployable data. Couldn't ask for a better partner in the fundraising game. I immediately screen any new donor or renewing donor to assess if they should be added to the moves management pipeline. New features including mapping and NYC co-op values are very helpful. DonorSearch is flexible, creative, and responsive to clients requests. The interface is lacking, although a recent upgrade to the back-end database made it much faster to load large datasets. Getting complete export files is not automated and can be more of a process than you might be accustomed to with other firms. Likelihood scores are not useful as the model is for major gifts at a much lower threshold than ours. Give them a try - this is a relatively young company with incredible industry knowledge behind it. We've used DonorSearch for a full database screen, daily inpatient screening, and a large outpatient screening to identify likely prospects for major gifts. We couldn't work efficiently through our donor and prospect lists without wealth and philanthropy screenings, and DonorSearch is a great partner. I have been using DonorSearch for more than 9 years. The best feature is the number of charitable gifts per name that are returned. Hands down the best of the database tools that I use. The customer service is great and always willing to discuss what the client is looking for in the product. I like the simplicity of the design of the program, but can see where some people might like a more colorful or flashy display. The level of support is great, the price point is reasonable and the direction the company is taking with implementing improvements continues to focus on the needs of the nonprofits. I work with a variety of nonprofit organizations and find the research provided by DonorSearch to be the first step in building accurate, validated prospect research findings for my clients. "New user of DS after switching from WealthEngine"
Made the switch to DS for several different reasons. Lower cost, didn't charge per user, included additional features such as an executive analysis and a (limited free use) prospect mining feature. After using this product for a few months I have found a few shortfalls with search results. There seems to be an issue with double and triple counting donations which skews their overall donation figure and in turn affects the estimated target ask and their ranking in the system. In addition, although all found addresses are supposedly linked to Zillow pages there are many dead links and I have a few donors listed with over 30 addresses on the same street. If WE has too high of a price tag I would definitely recommend DonorSearch. They have 1 year contracts which makes it easy to switch if it isn't what you needed it to be. A business problem we are solving with DonorSearch and benefit received is that we have been able to conduct a large scale wealth screening with more names and at a lower cost than with a different company. "I have had the honor and pleasure of implementing various aspects of research using Donor Search." The customer service provided by this company is stellar and beyond anything I've experienced in the past. I am quite bias when it comes to Kristin Sours who has helped trouble-shoot issues on occasion for me. She represents Donor Search with a culture of excellence. The various webinars are always helpful--and again---those presenting go out of their way to ensure each and every person participating succeeds. When I say this company has a "family" approach...it is the highest form of compliment in my experience; they treat their clients with the utmost respect, patience, and dedication... as if they were part of their family. In a world where we are often seen as numbers. Who could ask for more? I believe we are in our professions because we value people and their compassionate and life-changing generosity in this world. We all want to build solid relationships. Donor Search is a company that certainly "walks the walk" when it comes to philanthropic efforts. I wish there was more time in the day to utilize and implement the various new concepts provided. Oftentimes, various tweaks and additions make it difficult to keep up ---that is part of this industry though and I suspect we need to understand to make things better we need to consistently upgrade and tweak programs to improve service. We are provided with webinars and trainings to keep up with new functions provided to better our experience. I wish I could give a higher score than 10 for this company. All my experiences working with Donor Search have been positive. Presently, I am spending time using the Marketing List option to increase our DM list--we do mailings a couple times each year and I anticipate this new function will be very beneficial. "DonorSearch is helping us get to the next level"
We are a small organization trying to work smarter and more efficiently in order to better ensure the stability of the organization over time. DonorSearch has been a very helpful tool to better understand the giving potential of folks on our existing list as well as identify new prospects. The interface is also really easy to use and recent improvements have made it even better. The training tools are very useful as well. I just wish we had more time to mine all that is there! DonorSearch really professionalizes our capacity to understand our donors giving potential. 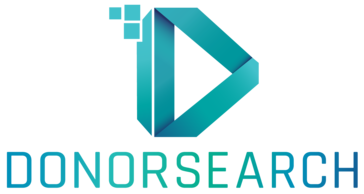 "Best prospect research tool we have found on the market"
DonorSearch has a great team who are very responsive to clients. As a consultant I am very comfortable using DS and referring my clients to them. They are consistently updating their data and platform. Our contact person has been more than accommodating of our requests over the past five years. Sometimes the profiles pull too much data and filtering takes time. Clients can feel overwhelmed. Information from DS can help inform campaign strategy on the front end, but also provide vital information when we need to add new, warmer prospects to our pool later in the project. What I like best about DS is their new Marketing List and Prospect Generator functions! Finding potential donors and the capabilities based on pasted giving and interests as well as geographic focuses! Fast results with very accurate information. Great support from team about how to read results. Good integration with Salesforce. The team there did a great job of talking us through our results and did good a great job validating the results of our top results. I did not like the interface for doing one of searches and found it difficult to read. We switched because we found a service that better met our need to do one-off screenings. If I was going to always screen in batches, or through Salesforce, I would have stuck with Donor Search. Vetting large numbers of donors at once. Conducting major donors research. "DonorSearch is Great for Our Business and Clients"
We have found Donor Search to be user-friendly and the data is comprehensive. We have also experienced excellent customer service from the DonorSearch team. I have no complaints about DonorSearch. It has been a wonderful resource for our business. I think DonorSearch is one of the most affordable, comprehensive and easy-to-use prospect research products out there. By having access to DonorSearch, we have significantly reduced the time needed to conduct prospect research because we no longer have to go to as many websites to compile relevant data. "Stays true to its name"
DonorSearch has an easy to use interface and is the best database we've used so far for organizing our alumni and potential donors. It would be beneficial if it was easier to add certain fields to new entries. It seems once you've set up some records, you're "locked" in with limited editing options. While I'm not deeply researched on similar products out there, DonorSearch is an easy-to-use tool that is true to its name. As an academic institution, it can be very difficult raising fund and donations for scholarships and projects. DonorSearch is a tool that greatly helps us in that task by organizing our data and being able to process custom queries based on our needs. We have a longstanding relationship with DonorSearch . Over the years of working together our clients have benefitted from the investments they have made in building the best wealth screening and research tool on the market. Nothing to dislike. Their customer service is fantastic and their commitment to problem solving and education has resulted in raising the bar in every development department we have worked with over the years. Defining systems to manage campaign work, and prioritizing and informing our overall strategies. "My favorite prospect research tool"
DonorSearch is an excellent comprehensive resource for any information I may need about prospect assets, affiliations, and philanthropy. It is my #1 go-to! Spreadsheets are not as flexible as EXCEL spreadsheets; filtering is limited; and, by entering my "Assessment Question" on the spreadsheet (rather than on each individual's personal profile), the column layout became skewed and is NOT fixable, I am told. That remains a daily annoyance, since I continue to segment and verify screening results. Take advantage of the excellent online trainings, webinars and customer service provided by DonorSearch in order to make the most of your investment. DonorSearch performed a wealth screening of our database to assist with prospect identification re. our capital campaign. "Wonderful Software, Even Better Customer Service"
The software is thorough and very intuitive. However, the most remarkable aspect of this company is its customer service. Having a conversation with a representative is easy and extremely beneficial. They are at the ready to assist and are thorough in their approach to any questions or problems you may have. Honestly, nothing at this point. We are very happy. We needed an easy, readable way to research hundreds (sometimes thousands) of prospects at once, and DonorSearch delivered. "Great Tool for Marketing/Development for Non Profits"
Easy to use. It took very little time to learn how to use the system and find the info we needed. There is some incorrect information but that can't be helped. The info is pulled from public records and with common names, there can be some overlap. We needed to increase our outreach to potential donors with a high probability of giving. We have been able to do very targeting searching to find donors who could potentially support us. "Thoughtful, Strategic Company with an eye on what Matters"
I have had the opportunity to work with DonorSearch for years in different roles at different organizations. They have always provided the strongest data in regard to giving elsewhere and appropriate targets for prospect outreach. Not much! I just wish I could afford to hire them for more projects! They provide analytical background to my hunches as a fundraiser AND give me great profile info on my constituents. The interface is easy to use and understand. It provided accurate results for our office that allowed us to get a better understanding of our donor base. Nothing, it works better than our previous software and it is more intuitive. For our size organization, it is a better fit. No real recommendations. It works well for our size of organization and level of sophistication. We are able to streamline the process of finding support for our students by locating correct information about our donors. It is easy for anyone to use and it has an organized and clear interface. Manipulating information on the site is easier than with other options we had tried. Having accurate information allows us to plan better. User interface is easy to navigate and the interactive data visualization is very helpful. The sales team was very responsive to our questions and requests and tailored their approach well to our organization. The search functionality within the My Portfolio tool is a bit clunky. Wealth screening, relationship mapping, basic data for affinity screening. "Phenomenal Customer Service and Product"
The customer service is unparalleled in the industry. Whether I have a question big or small, a DonorSearch representative has always responded within 24 hours with information, advice, and step-by-step help if I need it! They listen to their clients and respond to feedback. So far I have not had any complaints with the DonorSearch products or customer service. DonorSearch has helped me to manage the proactive and reactive research requests of the multi-faceted health system which I support. General ease of use... few unnecessary or confusing features. I prefer the traditional profile view to the recently updated format, but this is merely personal preference. Unsure how prices and features compare to competitors, but DS has been user friendly and effective for me as I execute my organization's first ever round of donor/prospect research. Research on existing donors and prospects-- what sort of wealth markers do they have, what other causes do they support, political leanings, etc. Donor Search is a nice tool to help determine who potential prospects are. I don't love the userface of the platform. It's been a while since I have used it, but I think there are easier tools to use that are more functional. DonorSearch was able to help us identify a strong prospect pool of donors, instead of purchasing lists, etc. we were able to find them through our existing internal pools. There are so many categories of information that Donor Search is capable of compiling. It can be hard to understand all the different codes and what they mean. We can easily pull list of donors using donor search and export them. Donor Search provides birthdays and other helpful demographic information and lets you know how confident they are that their information is accurate. "Great Tool, High Quality Data"
It has the highest quality data out of any tool on the market that I've experienced. I have recommended to many industry colleagues that they use this tool. It is a strong tool that is evolving. Like any product that is improving there will be changes that you need to get used to. DonorSearch.net is where the true prospecting information comes from! Other services purchase this info from them. The trial has been great - we're able to screen 200 prospects and compare with screenings from other prospect tools. Easily finding propensity to give and wealth capacity for major gifts prospects! * We monitor all DonorSearch reviews to prevent fraudulent reviews and keep review quality high. We do not post reviews by company employees or direct competitors. Validated reviews require the user to submit a screenshot of the product containing their user ID, in order to verify a user is an actual user of the product. Hi there! Are you looking to implement a solution like DonorSearch?